Class 421 4-CIG 1411 arrives at Littlehampton station on 18 October 2003 with the 12:26 Seaford to Littlehampton Southern service. 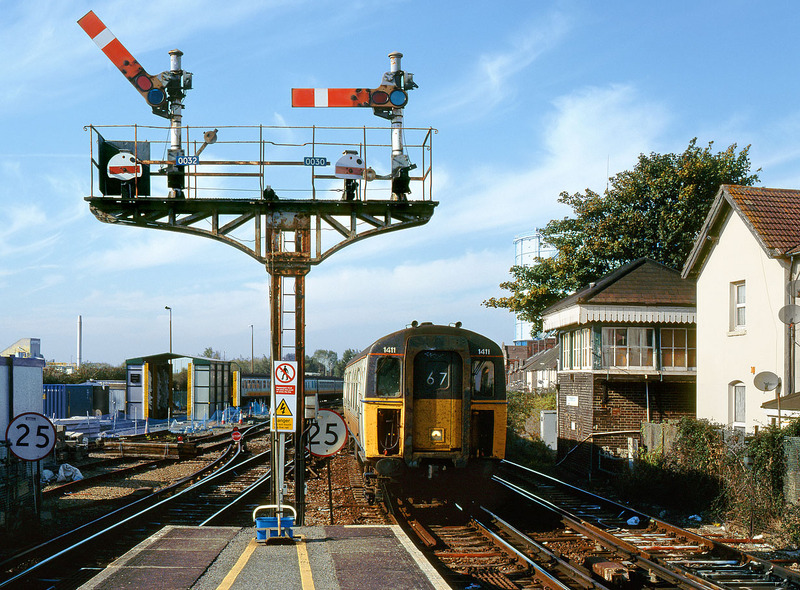 The impressive Southern Railway bracket signal is obviously the main point of interest in this picture. The left hand arm is 'off' for the departure of the 13:44 service to Victoria.